The way SOA emerges in any given organization more closely resembles a Jackson Pollock painting in terms of process ... do it your own messy way. I'm enjoying some fresh perspectives on SOA today at the InfoWorld SOA Executive Forum conference at Nikko hotel in San Francisco. My uber take-away from the variety of speakers is, despite considerable energy devoted to defining early SOA methods and processes, that embarking on a SOA journey resists standardized and repeatable ramp-up. Many of the speakers are defining ROI and early successes with SOA, are describing the way they began SOA, and relating the tools and products they used. The neat thing is that there is great variability. And perhaps this is appropriate. SOA should, in order to become truly transformative, align closely to each organizations' specific legacy IT resources, data assets, business imperatives, vertical industry requirements, and cultures (as a crude opening list). How many companies will be the same across these variables? Very few. What does seem to be common with SOA is that most companies are now steeped in a project-based culture, and either for or via SOA need to become adept as an IT asset reuse culture. Development should cut across many projects, and ultimately replaces project-based creativity with business process optimization-based agility. But just because the destination may be similar on a SOA journey, the roads followed to the agreed-upon goals are very different, messy, ill-defined, full of ruts ... a lot like the mud season we're now in where I live In New England. So the way that SOA emerges in any given organization more closely resembles a Jackson Pollock painting in terms of process. Do it your own messy way. That is, SOA crops up as splatters, streaks, blobs, in fits and starts across a company in a highly individual pattern of creative chaos. No two paintings could or should be the same. Eventually the canvas is covered with fewer streaks and spots, and SOA is attained to provide an impression of far less complexity, at least from a distance. 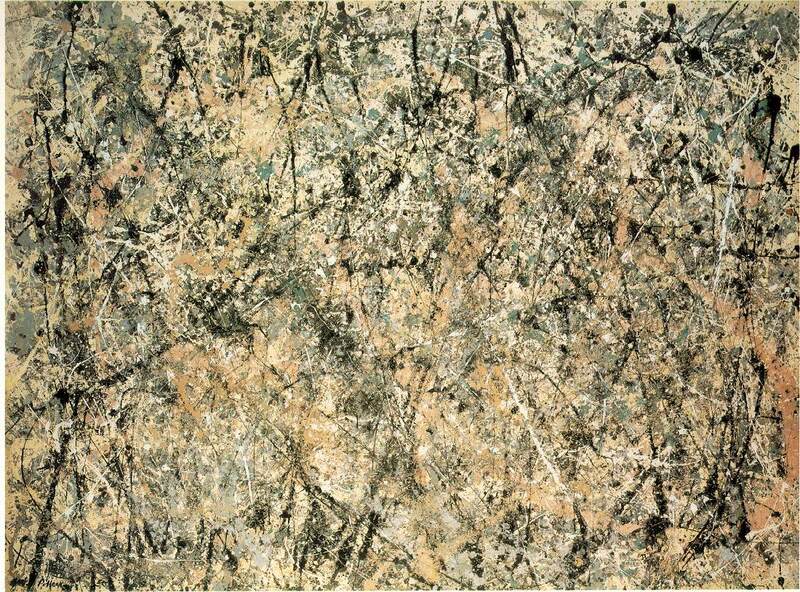 Indeed, many of the diagrams of current enterprise applications and point-to-point integration projects resemble a Pollock canvas up close -- in scope, scale, and complexity. The mental image of getting from a messy hard-wired diagram to a SOA agile landscape of a canvas with fewer clashing colors and more large and hue-friendly fields is helpful. It helps one appreciate the huge and highly individualized challenge of approaching and attaining SOA: How to get from Pollock to Rothko based on the paints and skills you have, different from any other company. It reinforces the notion that SOA is not a product set or a standard methodology, it's a journey. And like life, you have to do it yourself. You can't outsource it, can't buy it in a box, can't wish it were true. SOA, therefore, is a core and differentiating competency best self-learned and self-realized. Get on it.